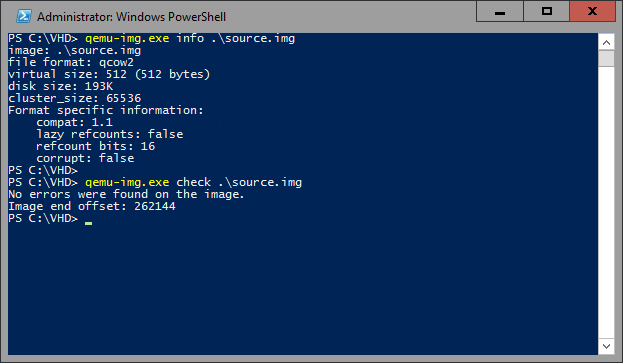 QEMU disk image utility for Windows. It is used for converting, creating and consistency checking of various virtual disk formats. It’s compatible with Hyper-V, KVM, VMware, VirtualBox and Xen virtualization solutions.This build has been optimized for Windows Server (x64), including Windows Nano Server. 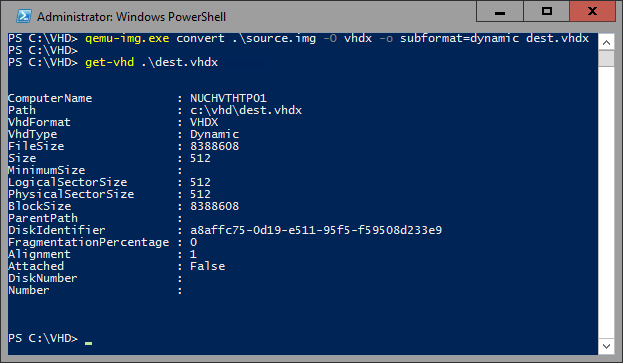 Subformat can be either “dynamic” or “fixed” for VHD (vpc) or VHDX. Note: use the fixed VHD subformat for Azure, the conversion will automatically take care of the required 1MB virtual size alignment. Run qemu-img.exe -h or see the manual page for a complete list of all supported options.